I am so excited to be coming to you this week! I am happy you look to me to come with great tips on developing your personal brand, professional development, your image, and beauty so that we can up level and unleashed that professional panache. Last week was all about the best self -tanners for women over 40. This week we're getting a little bit more serious, not boring, just a little bit more serious, and we're diving into your professional development. So, in this vlog I’m going to be sharing with you three core tips to help you as a woman, be a better negotiator. I want you to stay to the end of the video because guess what? Tip number three is about what color will make you a better negotiator. If you love what I'm bringing to you, please don't forget to subscribe to my YouTube channel and go to my website, www.thestylesignature.com. 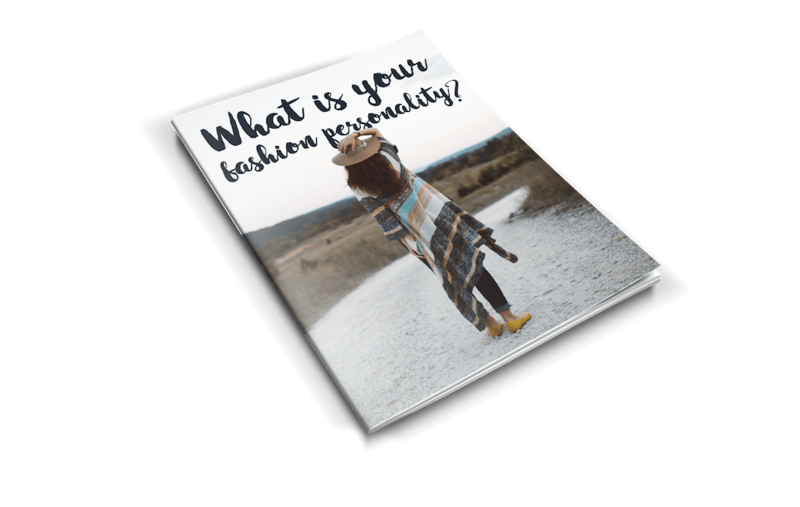 I have 2 ways to be part of the Style Signature family - a fun fashion personality quiz and a building your confidence opt in. All right, tip number one for a woman going into any negotiation is to have a plan. Now I know that sounds really, really simple and to some degree it is. What I mean by have a plan is, you need to think of 3 points in your negotiation. Why 3? It's kind of a weird thing. The human brain, and there's, there's research to support this, but the human brain thinks in odds. I believe in the power of 3. Five sometimes can be a bit overwhelming. Not only for you, but to present to whoever you're negotiating with. I really love the power of three. When I say make a plan, what I want you to do is walk into your negotiation meeting with three key points that you want to negotiate. Each of those three should have three sub bullet points to support why you're deserving of these primaries asks that you're looking for. The power of three really sticks in the human mind. And the reason why I believe that this is so important for women to have a plan is women have a tendency to be a little bit more emotionally driven creature. Now I know all you ladies are like, well, I'm not emotional. I don't mean that in a bad way. I actually think women being more in touch with their emotions is a positive thing. That's where our women's intuition comes from. That's where I always call it my “Spidey” senses coming alive because I can tap in, not only to my emotions, but to other people's emotions. The trouble is when we get into a negotiating situation, we don't want those emotions to overlap our strategy and get us flustered, so that's why making a plan and using the power of three, three asks and then three supporting subtopics to support those asks are really, really key to a strong negotiation skill. I will have my client's map that out. What's your ask in the negotiation and then give me three bullet points to support that and I do that with each one. Moving on. Point number two, to make you an extra strong negotiator and up those negotiation skills is you need to aim high, aim higher than you're expecting to get because you've got to have a place to negotiate down from. If you start too low, you've got nowhere to go. You want to remember your competence and power within the organization. See we are back to the power of three. Aim High, remember your competence and your power or value add to the company. Breakdown each in three bullet points to support your competence, your power and value add to the company and why you're aiming so high for whatever it is your ask is. Remember the power of three. It sticks easier in the mind and chances are you may not get all three your way, but you're going to get some of them. Number three, as an image consultant, this is my favorite! Who would have known, but color has psychology and there are two core colors that will make you a better negotiator. Believe it or not! Can any of you guess? First color, and this would be my favorite, especially if you need to harness energy, confidence, fill that room with energy, and portray that you are absolute authority. That color is red. It signifies absolute confidence and authority in what you're doing. It's a really a great color if you're walking into the negotiation feeling extremely proud and solid in the kind of performance that you're offering your customer or your organization. When you exude that kind of competence with the way you perform, and you put on red, you walk in owning the room, holding that authority and you strike a chord of up leveled confidence. It also brings an energy and a vitality and a stimulation to the room. The only downside to red is that sometimes it can be aggressive. So, if you're going into a negotiation and you're talking about more negative characteristics or complaints or you’re on the on the negative side of a negotiation, red can be considered aggressive and also a little overbearing. It's really about how you are internally feeling about your position when you walk in the door. . Again, if you were walking in a place of confidence rock that red dress or the red blouse because you're going to own the room. If you are falling on complaints or any kind of negativity, then I would stay away from red because then it comes off as too aggressive. Color choice number two to wear and engage in a negotiation is the color blue. And why do I say that? Because the color blue signifies two things. It has a calming effect and the psychology behind it is trustworthy. If you are incredibly nervous walking into a negotiation and you know your nerves are going to get the best of you, I would highly consider wearing blue because it has a calming effect to the whole room. It has a calming effect to the people that are going to receive you and if you feel like you need to keep those nerves at bay and keep a more relaxed feel to that negotiation than blue is a fantastic color choice. It also has the psychology behind it signifying trust. It's says I'm balanced and calm. Depending on what kind of energy you need to harness when you're walking into the negotiation is how I would choose the color to wear. *Understanding your value/competence and aim high. *Choosing the best color to wear to make you a more effective and stronger and confident negotiator. I hope that you have loved what I have brought to you today.